HELEN TYLER JOHNSON (November 30, 1921 to May 19, 2013) Our beloved mother, grandmother, and great-grandmother Helen, age 91, of Missoula, Montana, passed naturally and peacefully at her home, in her daughter's arms, surrounded by her family and listening to her favorite Hawaiian songs. Her passing has left a great void in our family; we will be grieving her loss forever. 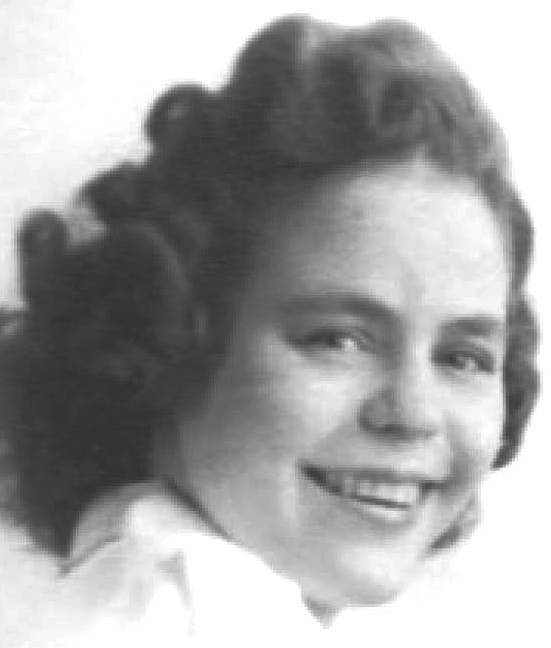 However, we take comfort in knowing how well she completed this phase of her journey and that she will be laid to rest on Oahu, HI, with her mother and best friend, Beatrix Carter Tyler (Gramma Bea) and brother Alton Tyler (Ty), and near many of her Hawaiian ancestors, aunts, uncles, cousins, nieces and nephews. Helen is a descendant of the prominent kama'aina Lane Hawaiian family, which began with the marriage of an Irish sea captain with the name Lane into Hawaiian royalty. Of note, the Lane family includes six brothers who smuggled in arms from Europe (and were later apprehended and temporarily imprisoned on Oahu) to support the failed Hawaiian Revolution against the United States. Helen was born in Honolulu, spent her childhood on the island of Hawaii where she attended Hilo High School, later attended St. Andrew's Priori on Oahu, and thereafter completed boarding school in San Diego. While in San Diego, in 1942, she married Bruce H. Johnson, Sr., who was in the Army Air Corps during World War II. She moved with her three-month-old son to Missoula, Montana, in early 1944. Helen supported the family working as a telephone operator while her husband completed his law degree. She retired from Mountain Bell Telephone in 1982. During her career, she became the first woman to enter into the Bell Telephone men's career system, working through the apprentice, journeyman, and master programs. She loved the ocean and was an excellent swimmer, a skill she maintained throughout her life. She was actively involved in a host of civic organizations, to include The Peace Corps (North Yemen), Eastern Star, White Shrine, Daughters of the Nile, Job's Daughters, Rainbow Girls, De Molay, Daughters of the American Revolution, the Saint Patrick Hospital Volunteer Guild, The United Way, Hospice of Missoula, and Women of the Moose. An interesting note on her life in North Yemen was when she had to take refuge in the American Embassy, as Muammar al-Qaddafi was hiding there. U.S. warplanes had carried out bombings of Qaddafi's residence in Tripoli, Libya, in a failed attempt to kill him. Vice President George Bush's wife Barbara personally called each of Helen's children to notify them that Helen was safe. In addition to North Yemen, mom traveled to Kenya, India, Australia, New Zealand, Bahrain, Germany, France, England, Switzerland, Spain, Italy, Luxemburg, Belgium, The Netherlands, Canada, and numerous visits to Oahu and her homeland, 'The Big Island' of Hawaii. Helen is survived by her children Bruce Johnson, Jr., Greg Carter (Deloris) Johnson, and Tyler Beatrix (Jim) Coleman, six grand- children (Tyler Irene Fannin, Greg Carter Johnson, Jr., Leigh Tyler Coleman, John Bruington-Coleman, Lane Sage Hartung, Olivia Lane Coleman, and Scott Johnson), three great grandchildren (Allison Maile Johnson, Zaccaria Johnson, and Owen Poole), great-great grandson Jaxon Johnson, sister-in-law June Tyler, niece Kathy (Walter) Swann, nephew James (Bambi) Tyler, and four great nieces and nephews. Helen's memorial service occurred in Missoula, MT, in September, 2013. A private family burial of her remains will take place in Kaneohe (Oahu), HI, next to her mother and brother, at 1:00 PM, 11 September, 2015, in the Hawaiian Memorial Park Cemetery.